HBO teamed up with Major League Baseball to engage "Game of Thrones" and MLB fans during games and on social media, with crossovers, unique merchandise giveaways, and more. 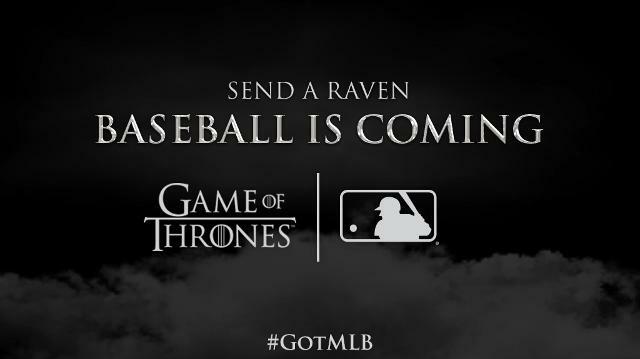 The MLB partnership featured "Game of Thrones" in 21 games, with all 30 baseball clubs participating. With a focus on creativity, HBO and MLB found a number of great ways to interact with their communities online, spreading the conversation about "Game of Thrones" and engaging fans. Custom graphic series that plays on the main board at the Royals game when a player comes out to bat. Mariners starting lineups set to "Game of Thrones" music on June 20, 2017. "Game of Thrones" night clips from the Diamondbacks. Teams across the MLB found unique ways to promote "Game of Thrones Night" at the ballpark. 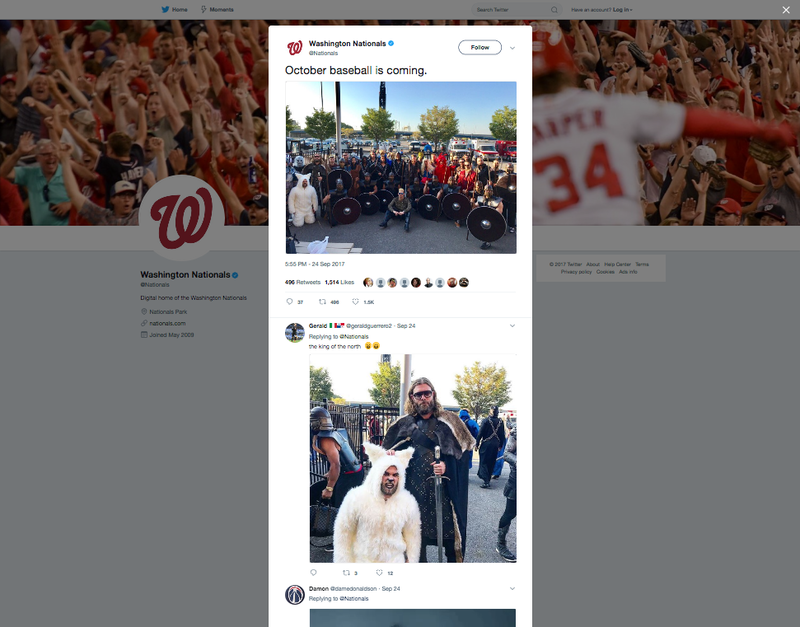 The Washington Nationals utilized social media to promote a city-wide "Dragon Egg Scavenger Hunt" and gave away specially branded merchandise as the contest kicked off. The event included promotions such as a "Game of Thrones" costume contest and photo opportunity as well as a "Game of Thrones" branded scoreboard and videos between innings to drive fan excitement.